Since 2003 the Tinalley String Quartet has rapidly achieved recognition as one of the most exciting young quartets, not only in their home of Australia but also on the world chamber music stage. 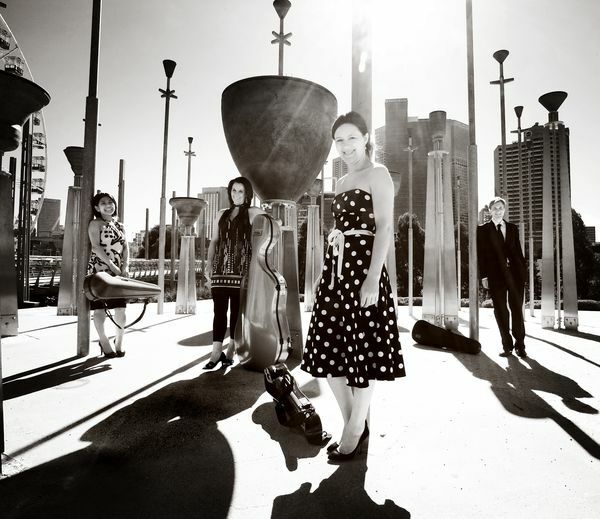 Tinalley was awarded First Prize at the 9th Banff International String Quartet Competition in 2007 and the Grand Prize at the 2005 Australian Chamber Music Competition, later known as the Asia Pacific Music Competition. From the Sydney Opera House to the Amsterdam Concertgebouw, the Quartet has performed to audiences from around the world including Berlin, Baden-Baden, Hamburg, Nürnberg, Luxembourg, Utrecht, Vancouver, Calgary, San Jose, San Francisco, San Diego, Toronto and New York. In 2009 the Quartet will launch its Australian national recital series and make appearances at festivals throughout Australia. 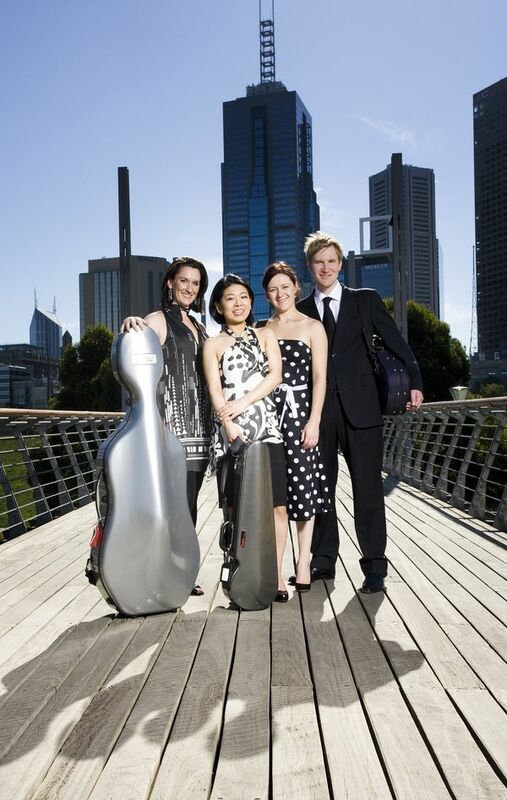 In Australia the Quartet is a favourite on classical music calendars in capital and regional centres. Tinalley has been mentored by many of the world’s finest quartets, including members of the Tokyo, St Lawrence, Keller, Takács and Schoenberg string quartets. 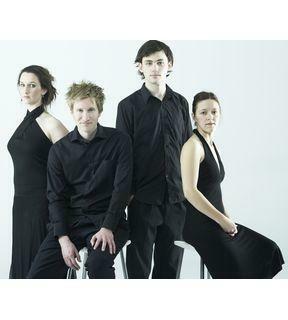 The Quartet has also participated in the International Musicians Seminar, Prussia Cove, United Kingdom; the Norfolk Chamber Music Festival as part of the Yale Summer School of Music; the St Lawrence String Quartet Chamber Music Seminar at Stanford University and the Banff Centre for the Arts, Canada. In 2006 Tinalley was based at the Australian National Academy of Music as Visiting Young Artists. The Quartet has been broadcast around the world on CBC Canada, SRW2, HR2 Kultur Germany and Public National Radio, The Netherlands. Tinalley was nominated in the category of best newcomer in the 2008 Australian Limelight magazine awards. 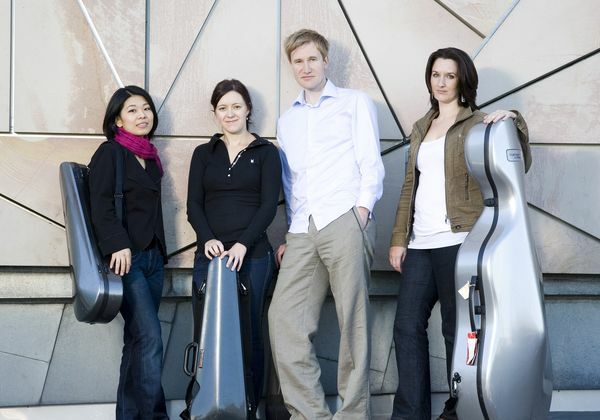 The Quartet is currently the Visiting Ensemble at Trinity College, Melbourne. After studies with Josette Esquedin Morgan, John Harding and Monica Curro, Kristian moved to Melbourne in 2001 to study at the Australian National Academy of Music. He has performed as soloist with the Melbourne, Sydney, Auckland and Tasmanian Symphony Orchestras, Orchestra Victoria, and Australia Pro Arte. He was concertmaster of the Australian Youth Orchestra on their 2004 European tour and has been Guest Assistant Concertmaster of the Adelaide and Western Australian Symphony Orchestras and the Hong Kong Philharmonic. Kristian is also an experienced chamber music artist. Lerida Delbridge has appeared as a soloist with a number of Australia’s leading orchestras. A recipient of numerous awards, Lerida completed a Doctor of Musical Arts at the University of Melbourne (where she currently teaches) in 2005. She performs regularly with the Melbourne Symphony Orchestra. Justin Williams has studied with Caroline Henbest and Brett Dean and performed with many Australian orchestras including the Melbourne Symphony, Australia ProArte and Geminiani Orchestras. In 2001 he was the recipient of the Bertha Jorgensen Exhibition. A Masters graduate of the University of Melbourne, Michelle Wood has performed with many Australian orchestras. An experienced chamber musician, Michelle toured Asia and Australia with the Young Piano Trio of Melbourne in 2002. In 2004, she was one of four recipients of an Australian Postgraduate Award.